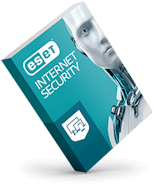 ESET provides a complete solution for cyber security. 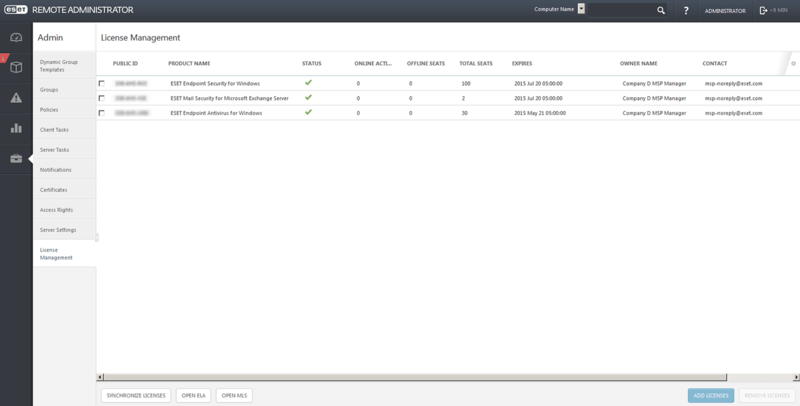 From performance and ease of use, to finite endpoint control, log aggregation, policy management and detailed reporting, ESET really shines. It is incredible to see how often/quick the definitions are updated without compromising on performance/available bandwidth. Increase profits thanks to our tier-based pricing based on aggregation of all the clients you cover. The more licenses you sell the better unit price you get. Each month, we only invoice you for the number of seats ordered at any given time, with no upfront investment. Save money with our efficient licensing model! Always have a clear overview of the number of licenses you use for every single site, as well as aggregated totals - to aim for the higher tier. Take advantage of trainings, certifications, local technical and premium support to get up to speed fast. 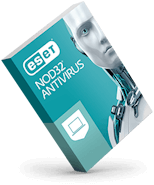 Offer potential customers a free trial of ESET. Once satisfied, convert your trial to a paid license instantly! 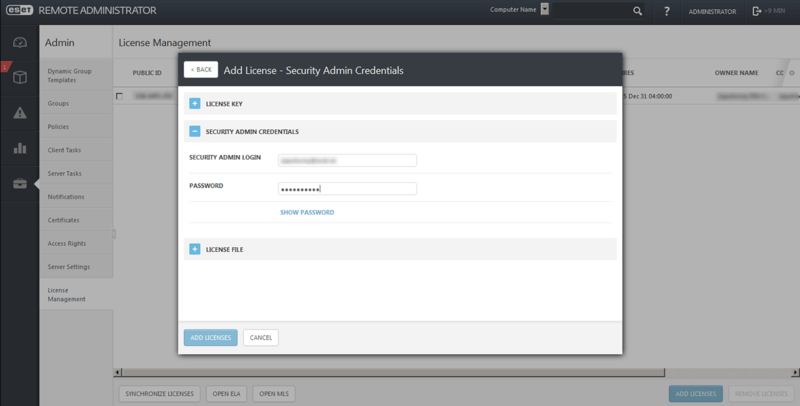 Manage your licenses through ESET MSP Administrator web-interface. Add or remove seats or make other changes instantly, without having to contact ESET. 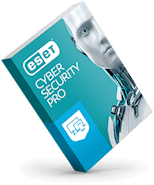 Manage all your sites from a single web-based ESET MSP Administrator for instant overview of all licenses and the entire portfolio of ESET products. 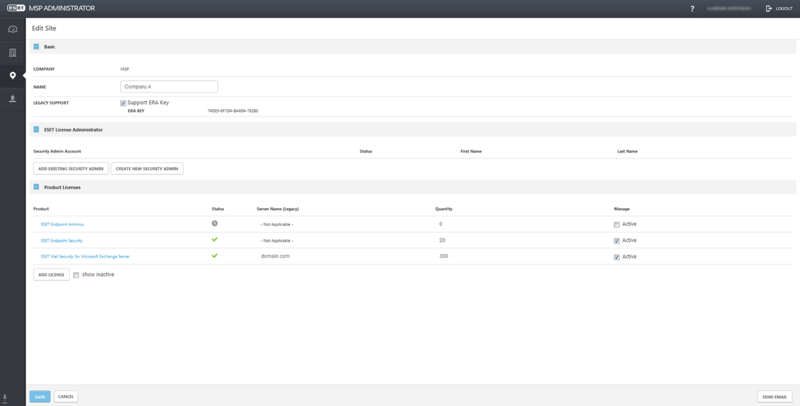 Require more detailed information and management of all your licenses? 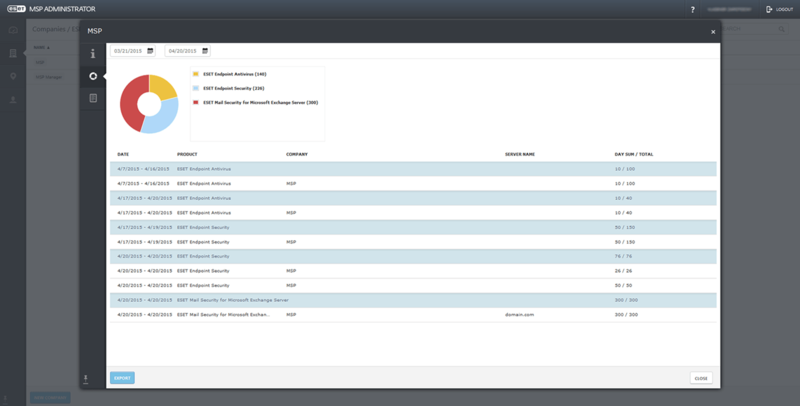 Drill down to seat-level detail with web-based ESET License Administrator. With ESET MSP Administrator, you can activate, disable or even terminate any product, license or specific site - in a real-time. There will only be one license key for your account, which will be invisible to your customers. 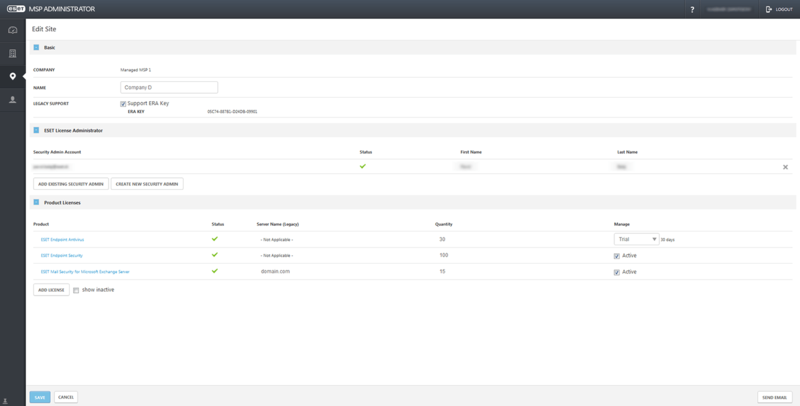 There is no need to share any license credentials with customers at all. The licenses handled via ESET MSP Administrator are synced with ESET Remote Administrator - no need to install dedicated utilities or plugins. The license activation and updating is handled automatically in the background - end users don’t have to provide license key or any other license information. Renew your existing license and save up to 25%. What's new in ERA 6.x? © 2008-2019 ESET North America. All rights reserved. Trademarks used herein are trademarks or registered trademarks of ESET spol. s r.o. or ESET North America. All other names and brands are registered trademarks of their respective companies.